Rouvalis Flowers - Boston Florist, Flower Delivery, Corporate Floral, Flower Subscriptions, Plants & Garden Design BlogOrchid of the Month Subscription! Orchid of the Month Subscription! We offer an array of Floral Subscriptions that are great gifts to someone or yourself. Our most popular subscription is Orchid of The Month, each month, you or the recipient will receive a beautiful and unique blooming orchid to the home or office. 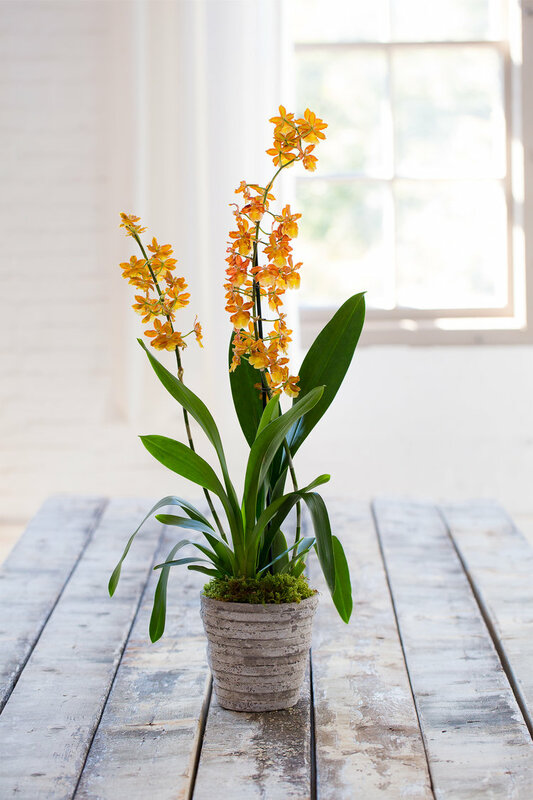 Each plant will be different than the last – including; but not limited-to varieties such as; Cattleya, Cymbidium, Dendrobium, Miltonia, Oncidium, Paphiopedilum, and Phalaenopsis. A remarkable orchid collection will be created in no time! All varieties are simple to care for, requiring minimal water and low sunlight. With each delivery an instruction card will be sent for proper care. Each plant will be hand chosen by our designers and planted into a decorative vessel. We offer 3 months, 6 months, and 12 months subscriptions. Call us today to customize this subscription or order today online.